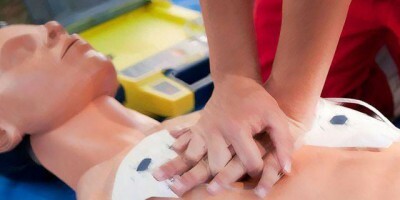 First Aid Training Courses in Sunderland, Durham, Newcastle, Gateshead and the North East. At our Sunderland Training Centre or at your place of work. Ofqual Regulated Qualifications for all our courses. Low Cost, Quality First Aid Training. Approved First Aid Training in Sunderland. Our First Aid courses give people confidence and training required that could help save a life. First Aid at Work – Ofqual Regulated Qualification Level 3 – Three Day Course. First Aid at Work Requalification – Ofqual Regulated Level 3 – Two Day Course. Emergency First Aid at Work-Ofqual regulated Qualification.- One Day Course. Paediatric First Aid – Ofqual Accredited Level 3 QCF -Two Day Course. Emergency Paediatric First Aid – Ofqual Accredited Level 3 – One Day Course. Employers have a legal obligation to provide suitable first-aid equipment and facilities to enable immediate assistance to be given to staff if they are injured or become ill at work. All our First Aid courses meet the requirements of the HSE guidelines. We provide recognised Ofqual Regulated Qualifications, accredited by Qualsafe Awards. For businesses, Schools, Nurseries, Childminders and individuals, Qualsafe Awards are recognised as the leading Awarding Body for First Aid in the UK. Our Paediatric qualifications meet all OFSTED Requirements. Our Trainers and Assessors are all professionals who have had years of experience dealing with First Aid in the real world. We teach in a relaxed environment helping to make learning fun and informative.You do not need to have previous First Aid Experience to attend our courses. Our First Aid Training Centre in Sunderland is easy to reach from the A1 and A19 offering ample free parking. We can adapt our training courses to meet your needs to ensure you achieve the recognised qualified standard. Go to First Aid Courses to view full details. Having the correct first aid provision in the workplace is a legal requirement. Click our latest HSE guidance tool to provide you with a full breakdown of how many first aiders you need at your place of work and what type of training they require.